How do I obtain a Calibration Certificate? Just ask and we'll send you a copy free of charge. 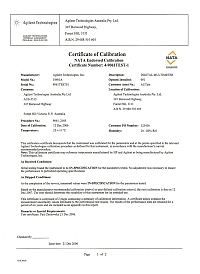 Some instruments do not require calibration according to the manufacturer's specifications, hence calibration certificates are not available or required. A very small number of instruments are only calibrated on request. We generally require 2 weeks' notice.